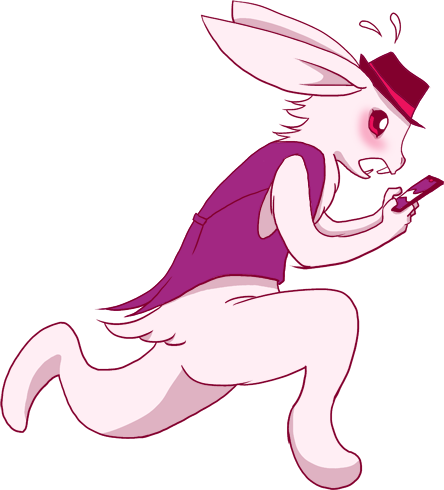 She was just about to nod off when suddenly a white rabbit wearing a vintage tweed porkpie hat dashed by… looking anxiously at his smartphone! The phone chimed at him. “I know! I know! I’m late!” squeaked the rabbit, more out of annoyance than concern.